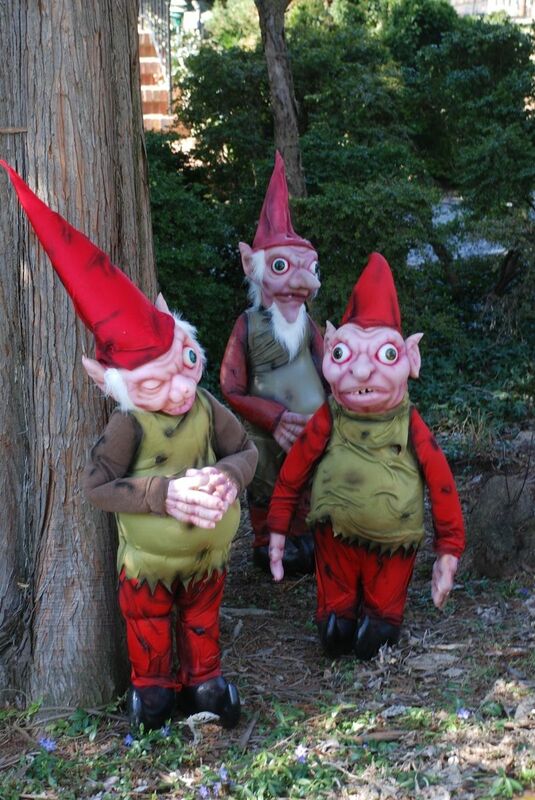 This trio of trolls is more creepy than the garden variety lawn gnome. They are perfect for a Halloween or haunted forest display. They are made of foam rubber with a plastic coating and fabric tunics.